Antique rugs are original to the region they began, either Iran (previously Persia), India, China, Pakistan, Afghanistan and Egypt. These rugs are hand knotted, each of which with its own original design, look and style. In order to be an antique rug, it truly must be one of a kind; our gallery is chalked full of these original rugs! You won’t find a rug with more traditional ethnic patterns and designs than the rugs in our Shrewsbury oriental rug showroom. Many of these designs originated in the 16th and 17th centuries when oriental rugs were hand-woven using traditional materials such as wool and silk. The materials are dyed using vegetable dyes and woven using large looms. Overall, the entire process to complete an antique oriental rug took around 4-11 months depending on the size and complexity of the pattern. What Makes a Rug Antique? 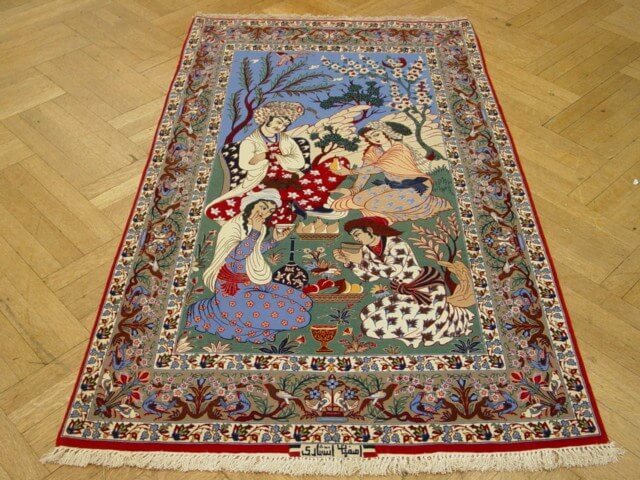 So what is the difference between an oriental rug and an antique oriental rug? Just as there is a difference between a hand-made chair and an antique hand-made chair, the difference lies in how long ago it was made. Antiques are categorized as being anything older than 100 years, though for rugs this date range is usually much older due to how long rugs have been around for. Unsure whether your oriental rug is antique or not? Feel free to take it into our oriental rug showroom to let our experts examine it. Country of origin, skill of craft, materials, design, and age are all weight when it comes to determining if a rug is an antique oriental rug. Interested in purchasing an antique oriental rug? Shop our selection online or visit our showroom located at 370 Boston Turnpike in Shrewsbury.